For many years I have been interested in music, I play both the Violin and Piano. One person I have been extremely fascinated by for many years is Ray Charles. 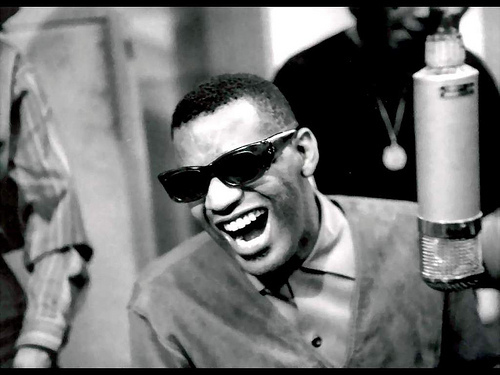 Ray Charles went blind at a very early age and still continued to live out his passion. He did not let being blind keep him from being the person he was meant to be. He learned how to play the piano and become very talented at it. He was very passionate for soul music and helped create what it is today. He lost his sibling and both of his parents in his teen years. This man has had a rough life and still was able to come out very successful. This website outlines the life of Ray Charles. It discusses his lows in life as well as his successes. This website also contains miscellaneous facts about his life to give you a better understanding of who Charles was in real life. This website provides songs of Ray Charles where you can listen for free to his music. It shows his top tracks and how popular they are in today’s world. This website shares one of Charles’s passions other than music. Ray believed that being blind was not a handicap, but not being able to hear was. He became very passionate about helping the deaf. So he created a foundation in which he helped raise money for cochlear implants and keep educational facilities for the deaf alive.